SPOKANE, Wash. – The American Institute of Certified Public Accountants today named Samuel Crosby, a 2015 graduate of the Gonzaga University School of Business Administration’s Master of Accountancy (MAcc) program, a winner of the prestigious Elijah Watt Sells Award for exemplary performance on the Uniform CPA Examination. The award is bestowed upon those who obtain a cumulative average score above 95.5 percent on all four sections (auditing, business environment, financial accounting, and regulation) of the exam on their first attempt and competed the test in 2015. Of the 93,742 individuals who took the exam in 2015, Crosby is among the 75 who met the award criteria. In addition, he is the only award winner this year from a school in the state of Washington. Candidates are eligible for the award the calendar year after they took the exam. Crosby, employed by KPMG in Seattle, becomes the third graduate of Gonzaga’s MAcc program to earn the Elijah Watt Sells Award in recent years. Previous Gonzaga alumni winners are Kiely (Strohmaier) Kiehn (’11), employed at Clifton Larson Allen in Quincy, Washington; Sheriann Wirkkala, (’08), employed at KPMG in Hartford, Connecticut. Crosby, a graduate of DeSales High School in Walla Walla, Washington, said he was thrilled to hear of the honor. “Receiving this award is certainly a big honor, but I feel like graduating and getting a job with a great firm doing work that I find interesting every day is the real culmination of my education. Receiving this award does feel like an affirmation of my decision to go into public accounting, and the recognition of all of the hard work that I put into mastering this material,” said Crosby, a 2005 Gonzaga undergraduate alumnus who majored in political science and Spanish. Crosby credited the Gonzaga graduate accounting program. Gary Weber, Ph.D., graduate accounting program director and Crosby’s adviser in the MAcc program, described Crosby as an exemplary student and person. The Elijah Watt Sells Award program was established by the AICPA in 1923 to recognize outstanding performance on the CPA Examination. Sells, one of the first CPAs in the United States, was active in the establishment of the AICPA and played a key role advancing professional education within the profession. For more information on the Uniform CPA Examination, visit http://www.aicpa.org/BecomeACPA/CPAExam/Pages/CPAExam.aspx. To view today’s news release from the AICPA on the Elijah Watt Sells Award recipients, visithttp://bit.ly/1N8OOwO. 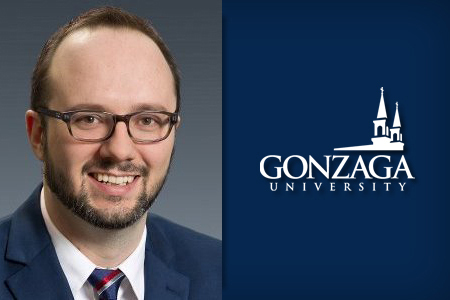 Visit the following link for more information about Gonzaga’s Master of Accountancy (MAcc) program or contact Jon Billings, Graduate School of Business marketing & recruiting specialist, at (509) 313-7047 or billings@gonzaga.edu.